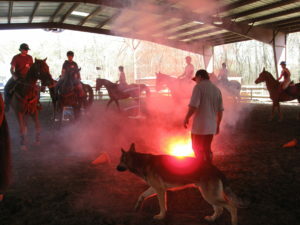 Reserve Your Space in the Spring 2019 National Mounted Police Services De-Spooking Clinic! Riding Lessons, Boarding, and More! Live Free, Ride With Spirit! Free Spirit Farm is a family owned and operated farm located in Freehold, New Jersey since 1994. 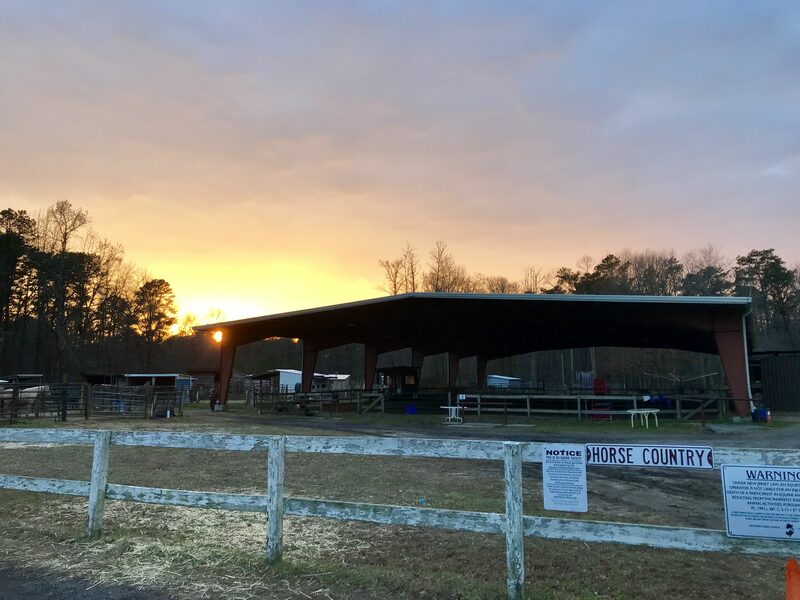 Our farm is a full-service horse training, boarding, and riding facility, complete with indoor and outdoor riding arenas, round pen, horse walker, and direct access to the New Jersey State Park trail system and Turkey Swamp Park. 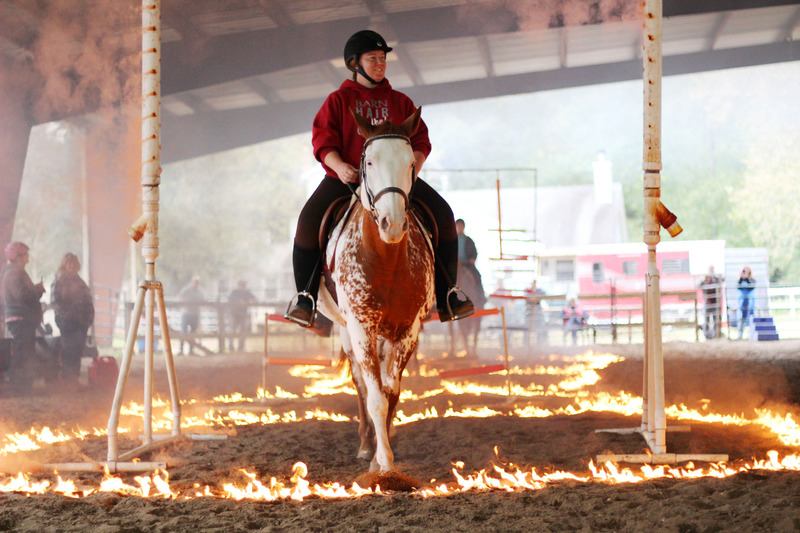 Based in Central New Jersey, Free Spirit Farm offers horseback riding lessons, horse boarding, horse leases, and a range of training services. With a covered 150′ by 100′ indoor riding arena and a ‘200 by ‘175 outdoor area, Free Spirit Farm has plenty of space to ride. However we do not offer any stall boarding. 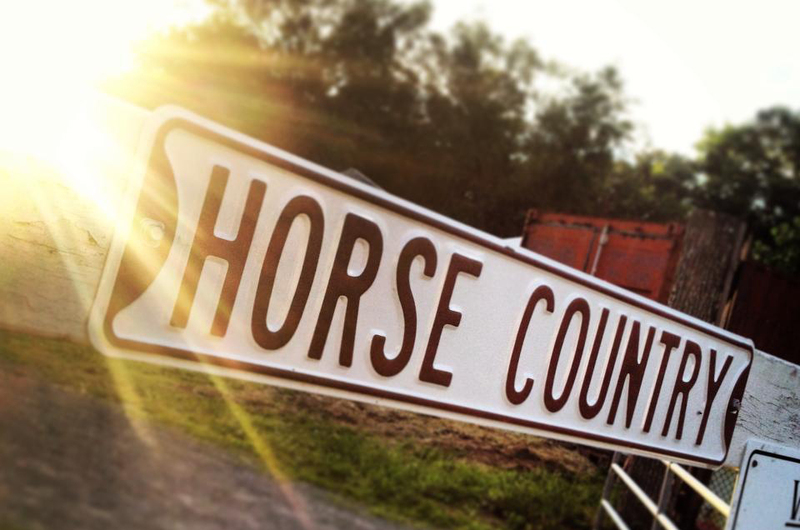 All horses at Free Spirit Farm are housed in large outdoor paddocks with individual run-in sheds. Free Spirit Farm is managed by horse trainer and riding instructor, Lisa Vaccaro. Lisa has over two decades of experience working with horses as a former barrel racing champion, standardbred racehorse trainer, a former 4H leader and Drill Team captain. In addition to managing Free Spirit Farm, Lisa also offers riding lessons for clients of all skill levels and provides at-home training for clients with horses in Central New Jersey. Free Spirit Farm will host Bill Richey of National Mounted Police Services, Inc., for another De-Spooking & Mounted Police Training Clinic on April 27-28, 2019. Stabling and experienced de-spooking riders are also available for hire. Breakfast and lunch is included. To register by mail, please save and print the registration forms that can be found here. All forms and deposits can be sent by mail to Free Spirit Farm, 187 Siloam Road, Freehold, NJ, 07728. For other questions and more information, please call (732) 637-9686 or email FreeSpiritFarmNJ@gmail.com. Live Free. Ride with Spirit. Horseback riding and horse riding lessons at Free Spirit Farm are offered by appointment only. Call to schedule a lesson today at (732) 637-9686.